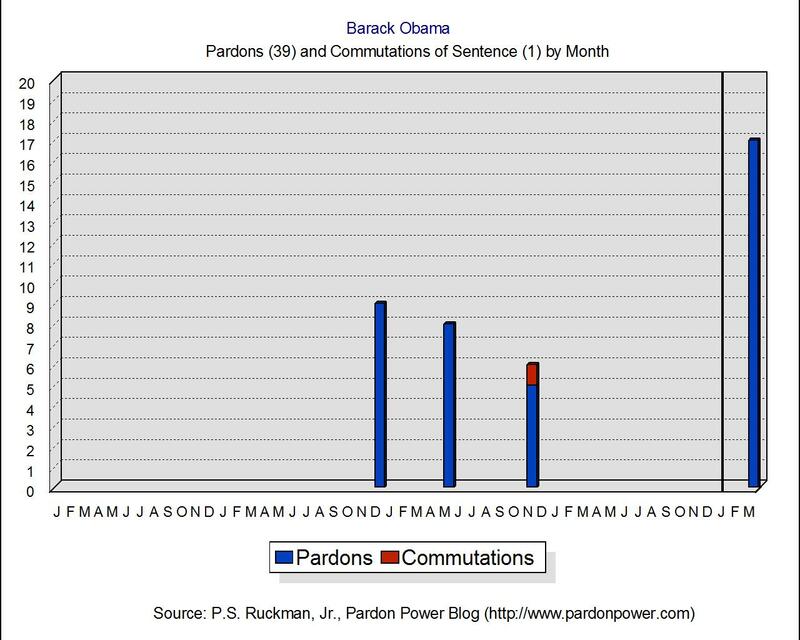 Today, President Obama granted 17 pardons, the largest batch of pardons granted in his presidency (enlarge image to the left). This brings his pardon total to 39 (22 in the first term and 17 in the second). He has also granted a single commutation of sentence (first term). According to the Office of the Pardon Attorney, Obama has received at least 8,000 clemency applications to date. Recall, President Obama waited a whopping 682 days before granting the first pardon of his first term - the longest delay for any president in American history, save George W. Bush. For Obama's second term, the wait has been a mere 39 days! * 12 of today's 17 pardon recipients committed offenses so minor that no prison sentence was imposed. 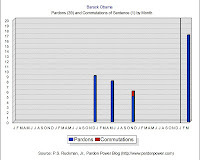 And well over half (25) of Obama's pardon recipients to date served no prison time. For those who have served any time at all, the average sentence has been just over a year (16 months to be exact). * Among those pardoned this time around: a man who had an unregistered firearm and possessed a firearm without a serial number! * The state with the largest number of clemency recipients in the Obama administration: Illinois (with 5) - which also happens to be the origin of the only commutation of sentence granted by Obama. Georgia and Tennessee are tied, with 4. * President Obama has - to date - granted clemency to at least 12 women, or 30 percent of his total number. We suspect the percentage of the federal prison population and the population of those on federal probation is much lower than that. * In an apparent break with long-standing tradition, the DOJ is not releasing the sentencing date for each recipient. See White House statement here. Compare with example of previous statement (with date of sentencing) here. With assistance from Charlie Savage (New York Times), our calculations reveal the average distance between sentencing and clemency for this round of recipients is 27.3 years. For all 40 of Obama's clemency recipients, the figure is 25.6 years. 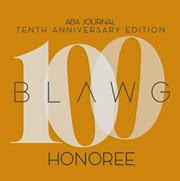 - Gender Bias in Obama's Pardons? Well I applied in 2005 and received a notification in November of 2011 after I contacted the attorney at the OPA's office, she emailed me a copy of a letter stating the President reviewed my application and denied my petition, never received an original copy in the mail. My crime was a misdeameanor with no prison time.